I am lucky to have two wonderful grandmas and a grandpa who always recites children’s poetry! They love to be around Anna and help a lot to her parents! We took several trips together with one of the grandmas and I have to tell you, this made our lives so much easier! I am working on a separate blog post on the subject. Coming soon! 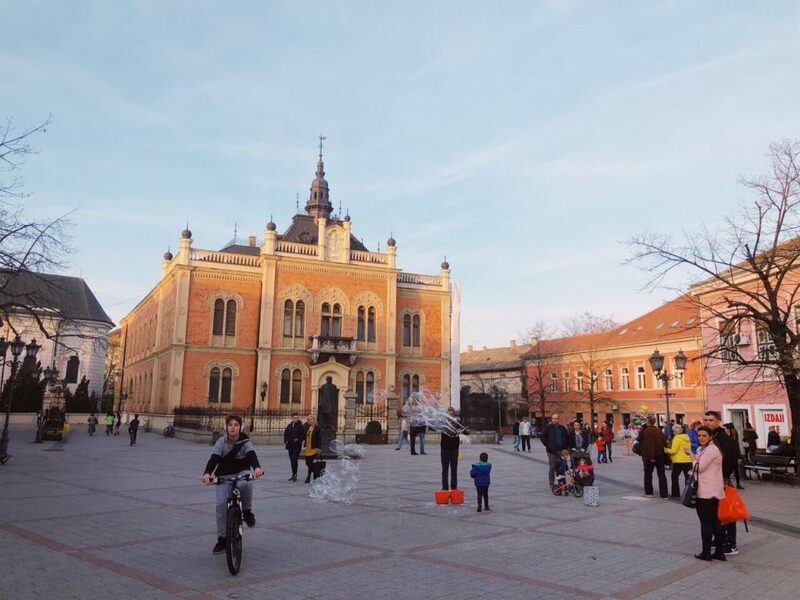 Is Novi Sad a good destination to visit with children? Novi Sad is a decent place to raise children, but it is no Disneyland. There is enough stuff to do with children, though, so read below. Novi Sad is a nice and clean city with large pedestrian zones and many parks. Being the second largest city in Serbia and the administrative center of Vojvodina, it is one of the best places to be in Serbia in general. The streets in the city center are regularly cleaned, according to my observations. I saw the cleaning trucks early in the morning when staying there. For example, I never see such in my pretty good and central located neighborhood in Sofia, Bulgaria. Novi Sad has many cool restaurants and bars that is difficult to explore when on the road with a kid. Luckily, we traveled with a grandma, who was happy to look over Anna in the evenings when we went out! Thanks, grandma! 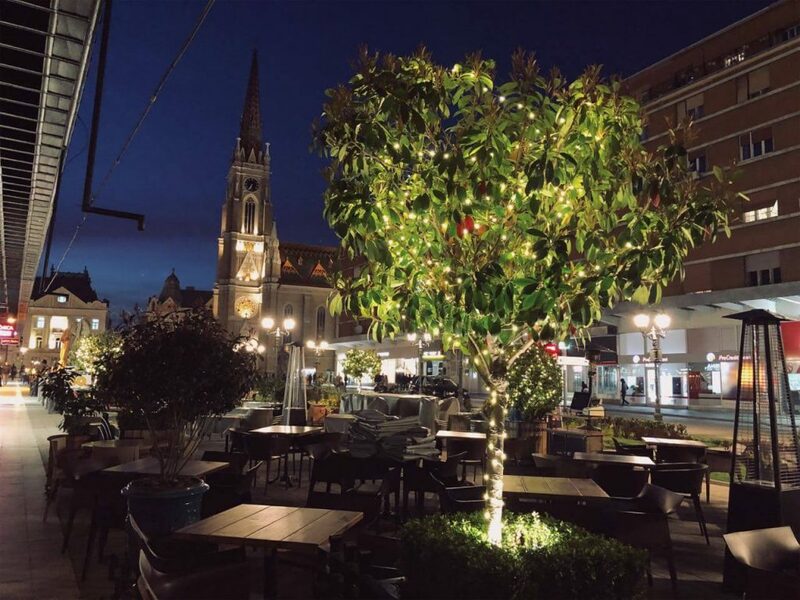 Novi Sad is beautiful at night, isn’t it? 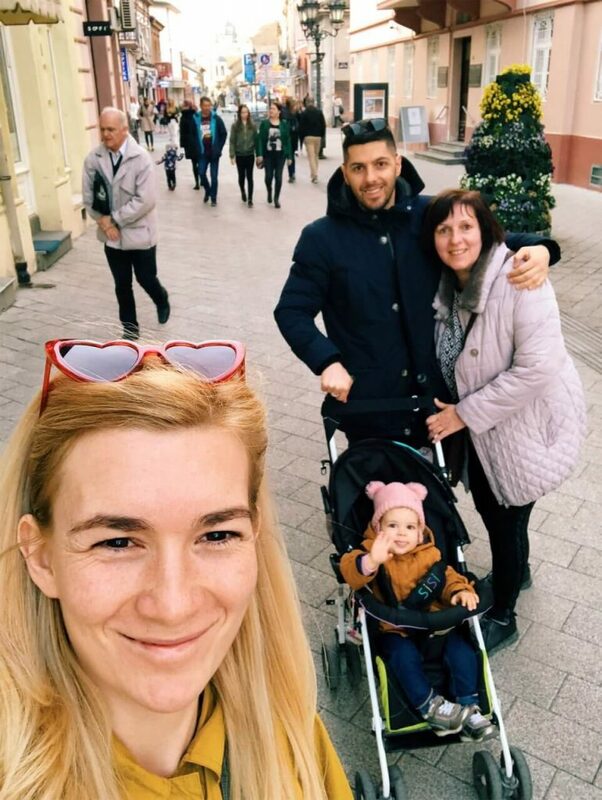 It is easy to move around with a baby stroller in the old town area. The streets are well maintained and most of the center is a pedestrian zone. We had no trouble with moving around with Anna. Plus, we were three adults this time! Keep in mind that going up will walking be quite difficult with a baby stroller, small children or while being pregnant. You’ll need to climb a lot, so make sure you save your energy for the fortress and go by a car. There is a free parking zone right next to the fortress. 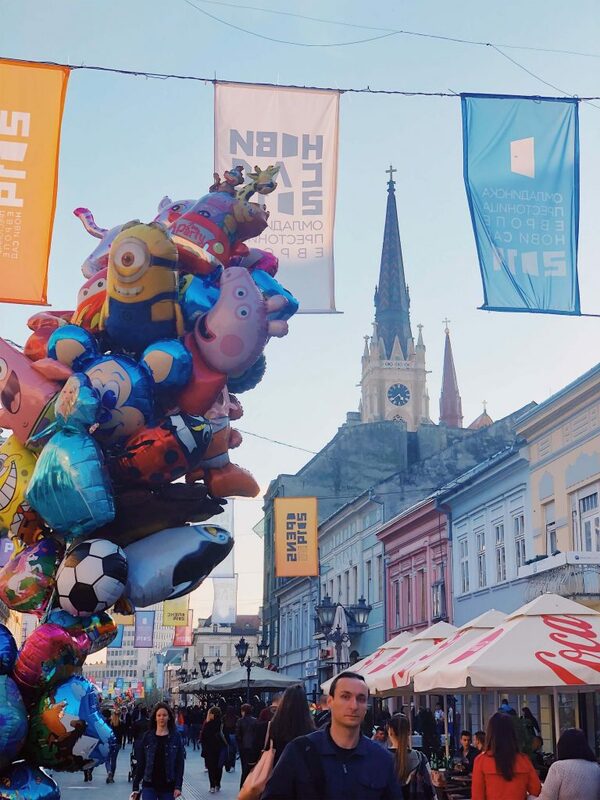 The central streets of Novi Sad are full of colorful stuff for children. Balloons, plastic toys, popcorn, cotton candy, you name it. Also, there are plenty of families and other children walking and running around. 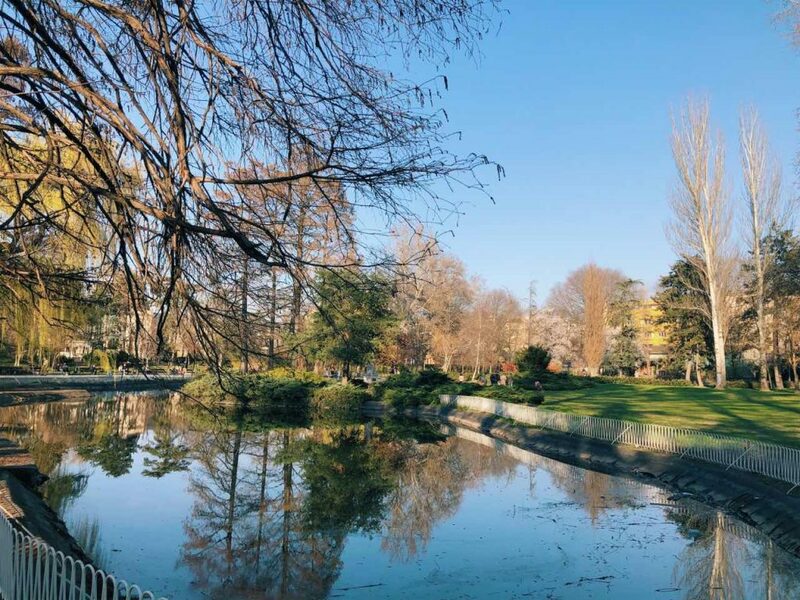 Dunavski park/Danube park seems one of the best places to visit with children in Novi Sad. It is right at the city center and a popular choice among the locals. It was not as big as I expected, but it is a nice place to bring your children. The receptionist at our hotel recommended Liman park/Limanski park, which is also close enough to the center, but we didn’t have the time to check it out. In Novi Sad there are popcorn stands on every corner. These are like a symbol of the city center looking old school and authentic. I literally never saw so much popcorn! The popcorn comes in different sizes, plus a children’s box, which has cartoon characters. 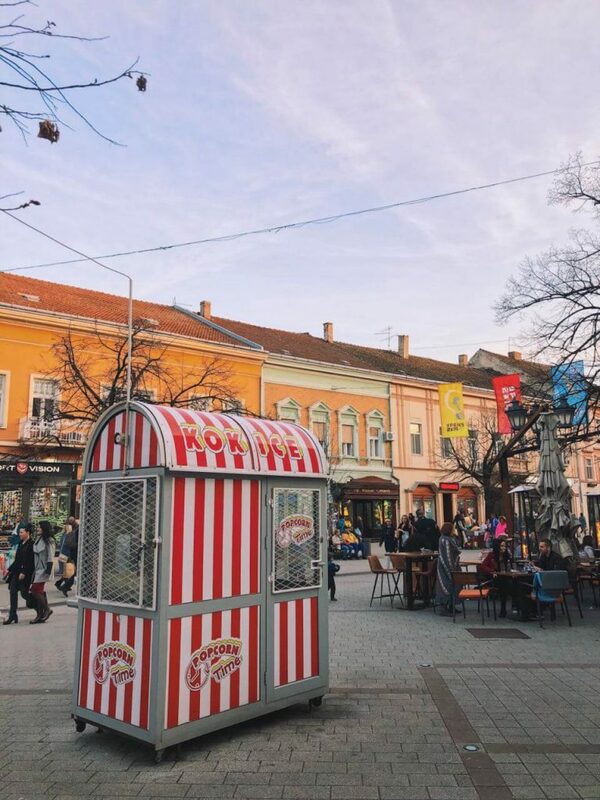 A typical popcorn booth in Novi Sad. Children love them! Finally, national park Fruska gora is very close to Novi Sad. According to me, it is not the coolest park out there. Still, if you do your research in advance, you can have a nice family fun there. Check out my blog post about our experience in Fruska gora. The second largest city in Serbia is famous for its Exit Festival. A large music event that takes place annually at the beginning of July. Naturally, bringing a child to a music fest or its camp is not the best idea, except if the child is already a teenager. Keep in mind that the city if full of young people that want to party around the festival dates. This does not necessarily mean trouble, but still. Hope this was useful! 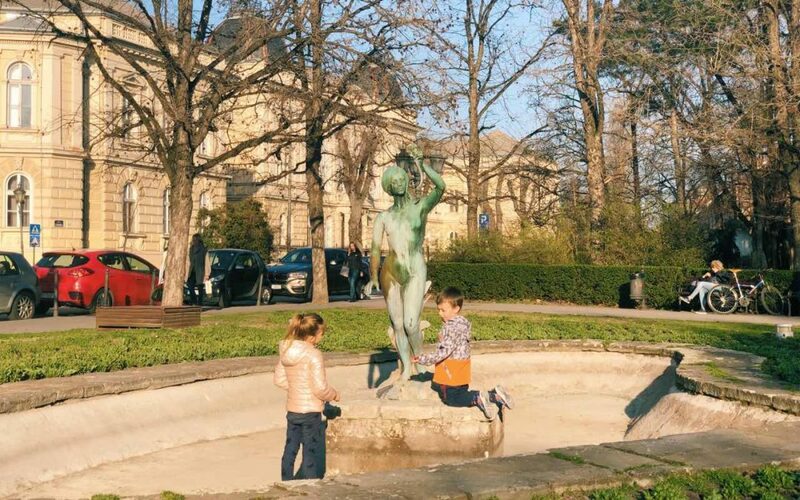 Do you need more info on traveling with children in Novi Sad? Let me know!